Cobo Wallet as IoTeX Delegate and strategic partner — has officially released the first Mobile Voting DApp for IoTeX Delegates Program! 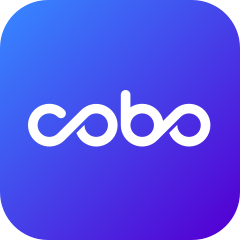 With our mobile voting platform, the voting process can be performed directly through the Cobo Wallet with built-in MetaMask tool. In this article you will learn the best way to stake your IOTX – in the Cobo Wallet app! Note that this requires that you have your HD wallet already set up and already have your IOTX stored in your HD wallet. If you haven’t done that yet, check out our how-to. 1. If you already have your IOTX in your HD Wallet, open the Cobo Wallet app, go to the “Explore” tab and click the banner or Vote for IoTeX Dapp. Then click “Vote Now” to vote. 2. Make sure that you choose Cobo Node Delegate, how much you want to stake, and your staking period. Then click “Proceed to Vote” to confirm your voting details. At last, you need to click “Yes, make transaction” to complete your staking. 3. Congratulations, you’ve staked your IOTX! Get ready for rewards!